The median forecast of economists polled by Reuters for August was 3.86%, with three-quarters of those polled predicting inflation would be below the RBI’s target. Forecasts ranged from 3.55% to 5.40%. 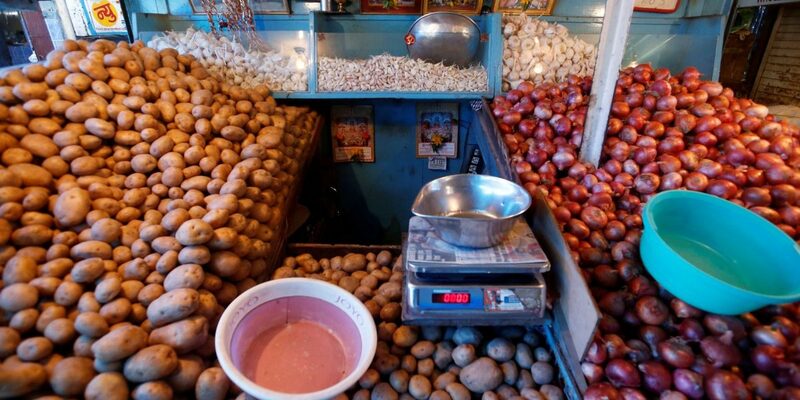 New Delhi: India’s retail inflation fell below the Reserve Bank of India’s medium-term target in August, increasing the likelihood it will keep interest rates on hold in October after raising them at its past two meetings. Consumer prices rose 3.69% from a year earlier, down from July’s 4.17 %, the statistics ministry said on Wednesday. August was the first month in ten in which retail inflation was below the Reserve Bank of India’s medium-term target of 4%. “While weakness in the rupee adds to the upside risk, factors such as still sanguine domestic food prices and moderation in global commodity prices (excluding oil) are likely to provide some relief,” said Garima Kapoor, an economist at Elara Capital in Mumbai. Slowing inflation in food prices, which make up nearly half of India’s consumer price index (CPI), cancelled out price rises in imported goods stemming from the weakening rupee currency. Food inflation slowed to 0.29% from a year earlier, against 1.37% in July. India’s industrial output in July grew 6.6% from a year earlier, helped by a rise in the sales of consumer durables ahead of festive season. Softening inflation could give Prime Minister Narendra Modi a boost as he faces general elections next year. The rupee has fallen more than 12% against the dollar this year to hit an all-time low of 72.92 on Wednesday. The tumble has sparked discontent in a country that relies heavily on imports for its fuel needs. Nationwide protests over record petrol pump prices, partly a result of the rupee slide, disrupted businesses and schools this week. The RBI, which next meets on October 5, has raised its benchmark rate by a total of 50 basis points at its past two meetings, to 6.5% while warning about inflationary pressures. Core inflation, which excludes the volatile food and fuel sectors, was seen at around 6%, easing slightly from 6.3% in July, according to analysts. The IMF, in its annual report on India released in August, warned that average inflation was likely to rise to 5.2%in the 2018/19 fiscal year from a 17-year low of 3.6% in the previous fiscal year. India’s annual economic growth surged to a more than two-year high of 8.2% in the three months through June.